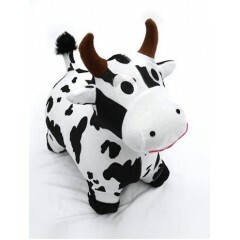 Meet Mr Moo, the Toy Cow With the Moooooooost! Mr Moo is the Zooba with the mooooost! 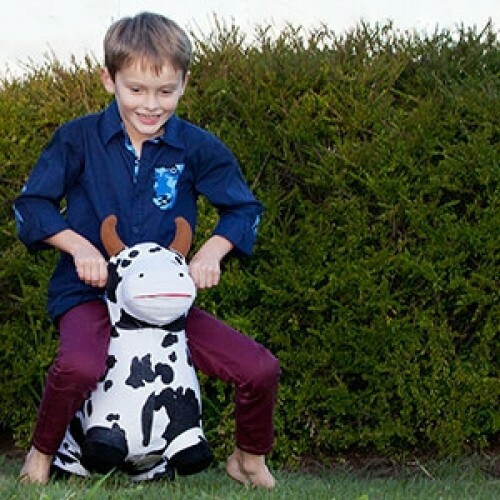 Of all the Zooba toddler and preschool toys, Mr Moo is our most popular. It's not just because he's super cute and bouncy! 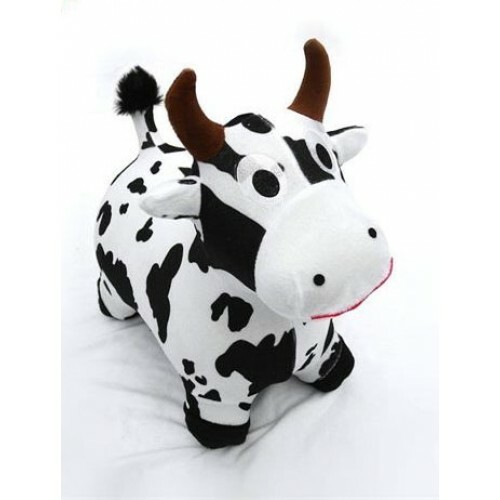 His soft brown horns are easy to grip for young hands and his black and white pelt makes him a favourite bedroom buddy for babies to look at – even if they’re too young to ride him yet! This makes him a perfect, plush, inflatable friend (always under supervision) from day one and a favourite developmental and sensory toy for young babies. 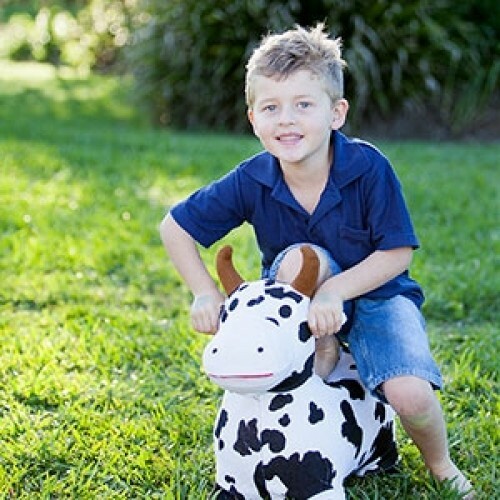 Like all Zooba kids toys, he's made tough, safe and to outlast the toughest toddlerhood! He's safe for toddlers up to kids weighing 60 kg but should always be used under supervision.